A thread to share your faves. The best thing about this brand is a lifetime warranty. Send them a photo and they send a new tool or the parts needed to repair it. This tool's power gear makes cutting things a breeze. It's blunt ends make it easy to slide the handle into a waist belt on a pack and carry it on a ride. It is lightweight and very unobtrusive. I've ridden with one like this for over a decade without a mishap. I always carry with the plastic anvil against my body. 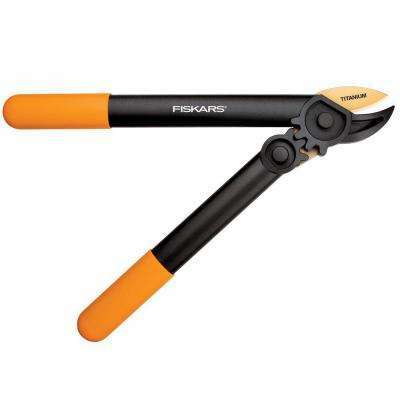 I'm hard on these tools and have received several replacements over the years without a qualm from Fiskars over any claim. This is my most-used trail maintenance tool. This one is an improvement over earlier models. The blade is a thicker gauge and doesn't bend as easily as other saws. The teeth are amazing in how fast they can cut. Fits easily into most packs, and has a hole to string accessory cord through for other carrying and storage options. Also, the blade has three locking positions, Stowed, Regular Cut (shown) and Undercut where it flips another 90 degrees to have the teeth up. You can quickly cut things like Yaupon near the ground without bending over each time, and you can reach branches high overhead in order to cut them back further. It is lightweight, durable, and guaranteed for life. This tool is magical in making quick work of trimming as it easily slides into thick brush to get to that difficult to reach branching point without getting poked in the eye trying to wrangle loppers in a tight space. Eliminating all the bending and squatting that cutting at ground level usually demands will allow you to get more done without wearing you out. A truly amazing tool, best for those days when you are walking in as it would be challenging to attach to bike or pack due to the length. The lopper and the pruning stick are capable of cutting up to 1.25" diameter. If you want to maximize the reward from your efforts, use tools like these to make it easy to clear the corridor and sight lines back enough to last for years. Oddly enough, these tools can all be used around the yard at home too. Though I can't imagine anyone spending their prime trimming time on yard work when there are trails to maintain. What are your faves and what makes them so? Definitely need to upgrade to geared loppers. And that tree pruner, I have a nice one with a saw at the end, but the lack of string on this one seems very nice! Fiskar's lifetime warranty is a very good selling point. A better selling point would be to fortify the handle better so that they wouldn't break ALL THE TIME. I have purchased three of these saws. They have now sent me twelve saws total to replace those three broken saws. All broken at the exact same spot. They even sent me two of a different model to try. They don't carry them at Home Depot. The blade would slide out from the handle instead of unfolding. I thought, "that might be the solution." But the blade was so thin it literally broke the first time I used it. 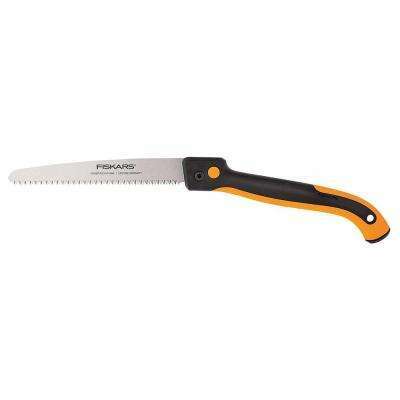 Fiskars use to use wood on their folding saws. I wish they would again. My mattock would be the next most used tool in my arsenal. I hardly ever take my Mcleod out because the mattock can do the same thing. Can't say the reverse. Lastly would be my steel toed boots. It's hard to explain how much has been accomplished with the kicking, stomping, smoothing, and just "walking hard" I have done with my boots. I am mad at my loppers. I snapped the handles together over a month ago and whacked my finger with it somehow. My finger is still swollen and hard to bend. I've been using a Mcleod for a long time, but have done very little work with a Mattock, Pick, etc. as the trail surface I've worked on mostly needed raking, dragging, and tamping. I used to pack along a small Mattock-like tool, and eventually started leaving it behind due to the weight, unless I had a specific reason to bring it along. It is a stretch for me to see how you do the same work with a Mattock that others use a Mcleod for, but your work may be mostly on a surface better suited to the strengths of the Mattock. So even on what a Mcleod is supposedly better for I disagree that it's better. And then there is all the other things that the mattock does that it was designed for. Like removing rocks. The leverage action of the mattock is superior to the Mcleod. The Mcleod usually bends when you try the same thing. And then there's shaping dirt, like bench cutting. No contest. Now you have me all worked up. I hope it rains soon so I can stop riding and get out there and have some real fun! (sigh) It's a sickness, yes? I see what you mean. The Mcleod I use is heavy, like 3/32 or 1/8 steel plate, not like the one pictured. It can do much of what you describe and I can see how the lighter stamped sheet metal ones would not have the heft to cut tufts nor dig without bending. In the gravel of RHR it is perfect, but the Limestone of the Edwards Plateau will need something with a little more fortitude to leave a lasting impression. It is a sickness. I went out and repaired the Carpet Bridge at RHR after work today. This involved a Hi-Lift jack, a motorcycle tie-down, several Ryobi power tools, metal strapping, deck screws, concrete pavers, and some heavy lumber. Oh, and a hammer, naturally. All on privately owned land. (Grey does me right by my efforts) The bridge isn't wonky any more, but I think there will be something done to replace it, someday. Paul pointed out there is a pile of leftovers from some LCRA high lines where they replaced wood structure with metal. Whoo-hoo! Ontario 18" machete. It might not be as efficient as some other tools, but it's not heavy and hacks through logs like an ax. Do they go through a stage where it's more a chore to get them to do yardwork than to do it yourself and then get better past some age? I got a 12yo and 14yo. The 14yo will get motivated and work hard once he gets started, but getting him started is a problem. The 12yo, forget it. Regarding machetes, I have a Fiskars and I'm not impressed with the factory sharpness. Is it a normal thing to have to sharpen them? Do they make them kind of dull on purpose? I just got a chance to use my Bahco Laplander 7" folding saw and I'm very impressed with how easily and fast it cuts. It is very well reviewed and has a locking mechanism. I got an email from Fiskars confirming that they have shipped something to me. Odd thing is that I had received the last warranty replacement lopper I had put a claim in on. I own two or three of them and other Fiskars tools. Some of which are in a state that I could probably send in a claim for, as I've done several times over the years. Maybe they are doing pre-emptive replacement on my stuff now. Edit: The package arrived and inside was a 15" Power Gear lopper. Correction, the label now calls it a Super Lopper.